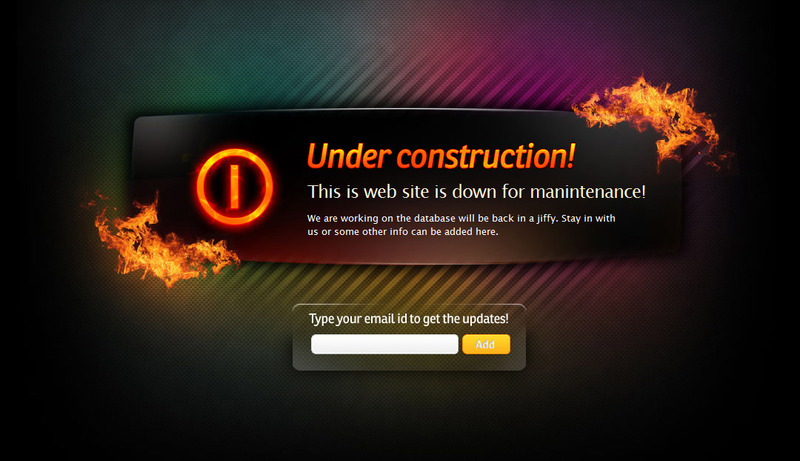 If your website is under construction and you are not able to live your website then here are the best under construction template for you to inform your website about the launch of your website. It will help you to maintain your website visitors and Visitors will not stop to visit your website. Designed by rayoflight (http://themeforest.net/user/rayoflightt). 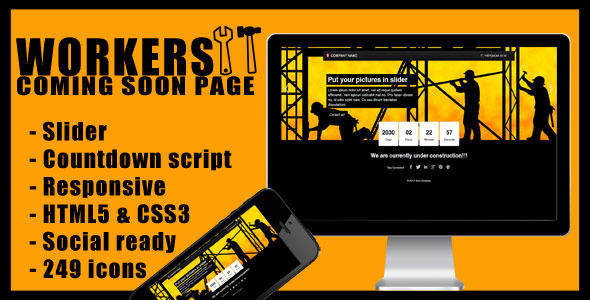 Slider is premium HTML5/CSS3 under-construction website template available in 2 skins � black and white and in 6 color styles with cool flashing css3 effects. Designed by stephanus168 (http://themeforest.net/user/stephanus168). 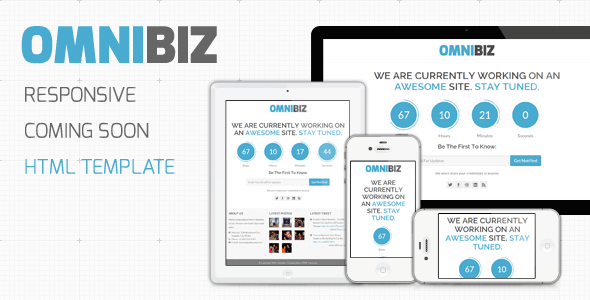 Omnibiz is a responsive coming soon website template for business and corporate with countdown, circle progress bar and subscription form, and footer widget. Designed by cmszine (http://themeforest.net/user/cmszine). Countdown Template comes with Slider and Countdown script! It�s a fully Responsive and HTML5 & CSS3 ready. Designed by virtuti (http://themeforest.net/user/virtuti). 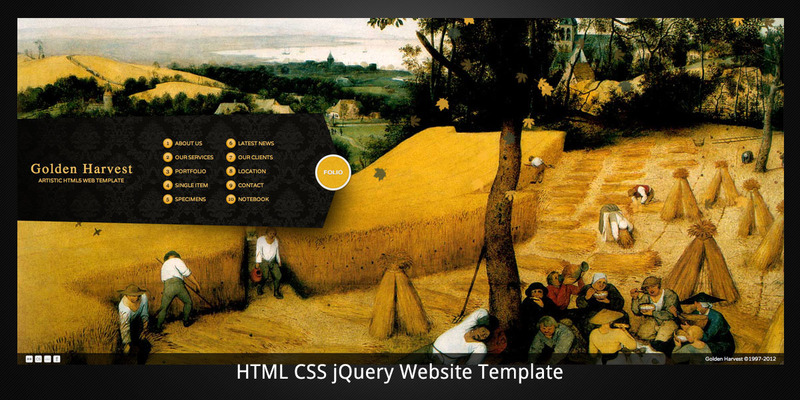 It is a HTML5 valid, creatively constructed website template. May serve as business site, personal portfolio, product showcase etc. Designed by themesawesome (http://themeforest.net/user/themesawesome). 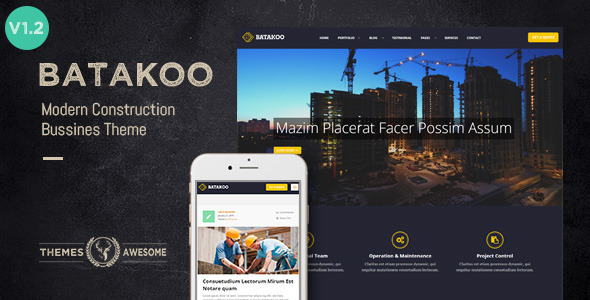 Modern Construction WP Theme�Batakoo�is suitable for the construction business and the company website. Make your business more victorious and make it easier to develop your business. Designed by theme_bridge (http://themeforest.net/user/theme_bridge). 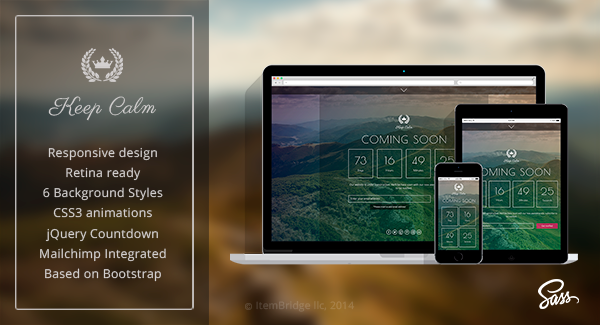 KeepCalm�is a creative, modern, professional and�responsive HTML5 Coming soon and Under Construction template, built to introduce your website before launching. Designed by AVAThemes (http://themeforest.net/user/AVAThemes). 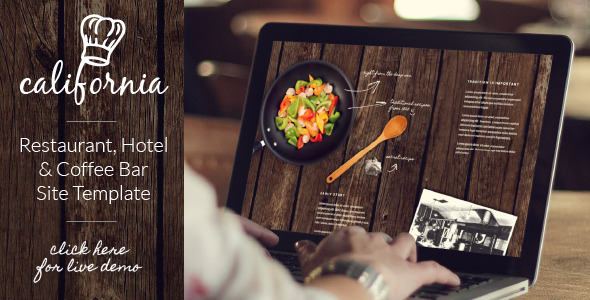 Restaurant Hotel Coffee Bar Website Template is a fully configurable and easy to use responsive website template with HTML5 Video Background Support and a lot of other great features. Designed by owltemplates (http://themeforest.net/user/owltemplates). It is an HTML Under Construction/ onepage minsite Template, best suited for any website Under Construction, minisite & landing page requirements. Designed by rollthemes (http://themeforest.net/user/rollthemes). 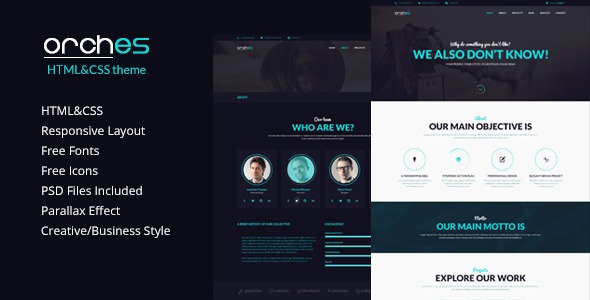 Orches is a creative responsive HTML5 template which gives you awsomeness for your corporate, portfolio, personal, blog and business website. Designed by creative_era (http://themeforest.net/user/creative_era). 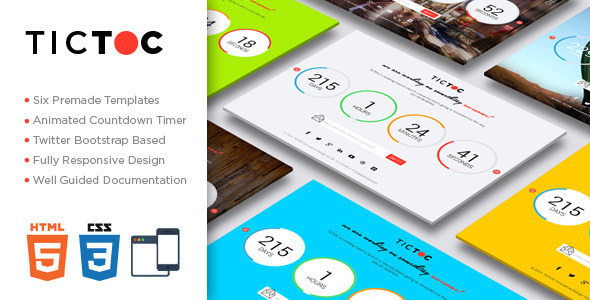 TICTOC coming soon countdown page is a clean, elegant, responsive, animated countdown coming soon page template. Designed by UkiWeb (http://themeforest.net/user/UkieWeb). 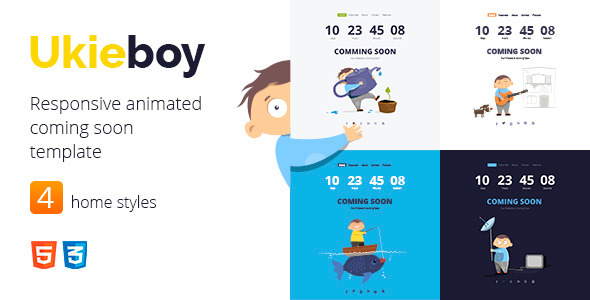 Responsive animated coming soon template it�s funny and creative html pages for your future website. Designed by AVAThemes (http://themeforest.net/user/AVAThemes). Restaurant Hotel Coffee Bar WordPress Theme is a fully configurable and easy to use responsive WordPress Theme with HTML5 Video Background Support and a lot of other great features. Designed by cenkakyildiz (http://themeforest.net/user/cenkakyildiz). This HTML Page is a centered fixed layout. 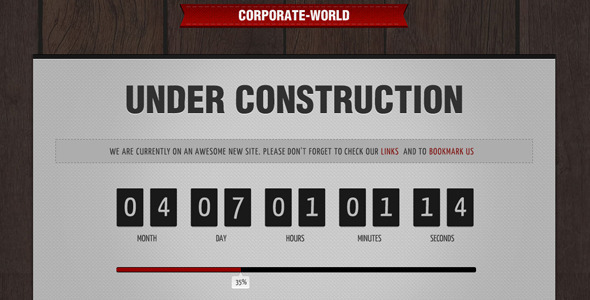 This HTML page is so simple and easy to setup for your under-construction page or Site Down page or maintenance page.